This book traces God's compassion as it is revealed in the Old and New Testaments, exploring the expression and impact of compassion in the early church through its actions and teachings as part of its witness. 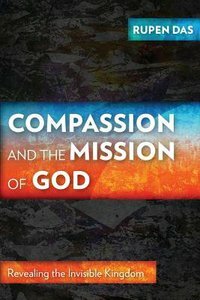 Focusing on the church's responsibility to be compassionate, Dr Rupen Das underlines the theological and missiological questions central to any discussion on the compassion of God. Culminating with how compassion is lived out by God's people, the book looks at concepts of transformation and the demonstration of the kingdom of God in the real world. This book provides an excellent biblical and theological foundation for anyone involved or interested in ministries of social justice, relief, development and compassion. About "Compassion and the Mission of God: Revealing the Invisible Kingdom"